Windows 3.1 was released April the 6th 1992. 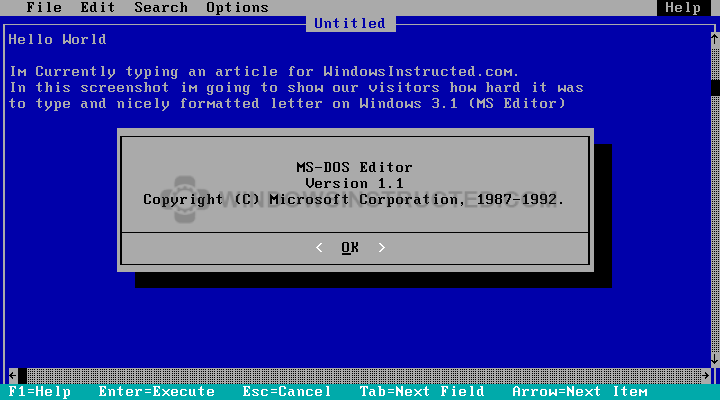 Windows 3.1 is a 16-bits operating system, produced of course by Microsoft for use on Personal Computers. Over 4 million copies of Windows 3.0 were sold and over 3 million copies of Windows 3.1 were sold. Windows 3.1 costed 149 dollars at the time of the release. Knowing that you can calculate that Windows 3.1 was good for 447000000 USD on sales! What was so special in this release? Windows 3.1 brought some great things to the Microsoft Windows Platform, but what precisely did it bring? We summed up feature that were introduced that on this day and in the upcoming Windows 10 release are still beign used! I took some programs that were used a lot in the time that Windows 3.1 was popular and will show them below. However, the main features someone needs when writing a letter, book or something is the option to save and print the document, Windows 3.1 of course supported this feature. The calculator that was installed by default in Wind0ws 3.1 is almost the same as we still use today, however it only supported two modes; Standard and Scientific. Can you see the differences? Yes there are quite many but the features are almost the same! Virussed is not something new and Windows 3.1 had it own Virus Scanner, Yes a virus scanner. It had two buttons: Detect and Decect and Clean. The first button allowed you to view which files it found to make sure nothing important got deleted. The second one just finds and kill them without asking.